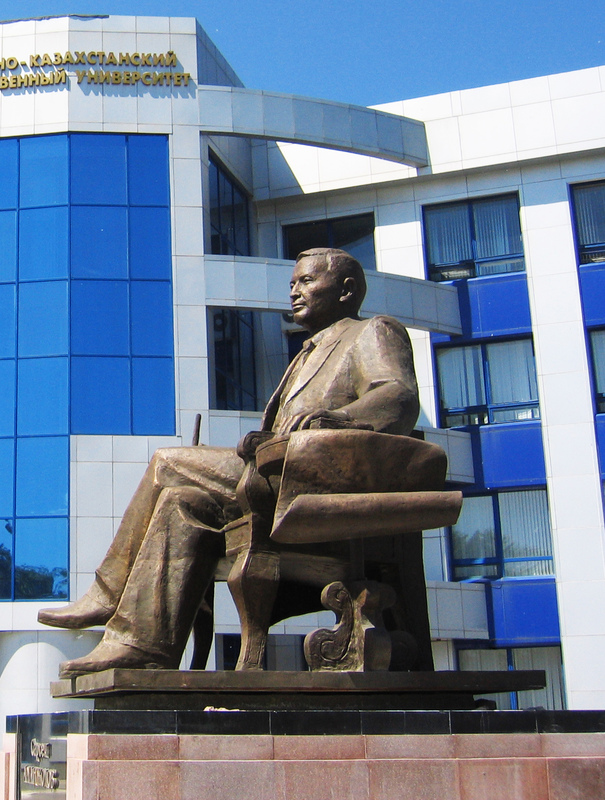 In 2003 East Kazakhstan State University was assigned the name of the famous linguist turcologist, one of the founders of the Kazakh linguistics, the corresponding member of Academy of Science of the Kazakh SSR, Doctor of Philology, Professor Sarsen Amanzholov. Amanzholov S. was born on December 27th 1903 in Eginsu region of Ulan Region of East Kazakhstan region in the family of farm laborer. In 1916 he graduated from Chingistay Russian and Kazakh school. After completion of pedagogical courses in Semipalatinsk three years S.Amanzholov worked as the teacher of village school, in 1922 to 1924 the national judge of the Bukhtarma County, also in 1924 he worked as the responsible secretary of the Ust-Kamenogorsk district executive committee, then he was sent to Tashkent for studying. In 1930 he finished pedagogical faculty of the Central Asian State University majoring in teacher of Kazakh language and literature. In February 1948 S.Amanzholov defended his doctoral dissertation on a subject: "The main problems of the Kazakh dialectology" in Moscow. 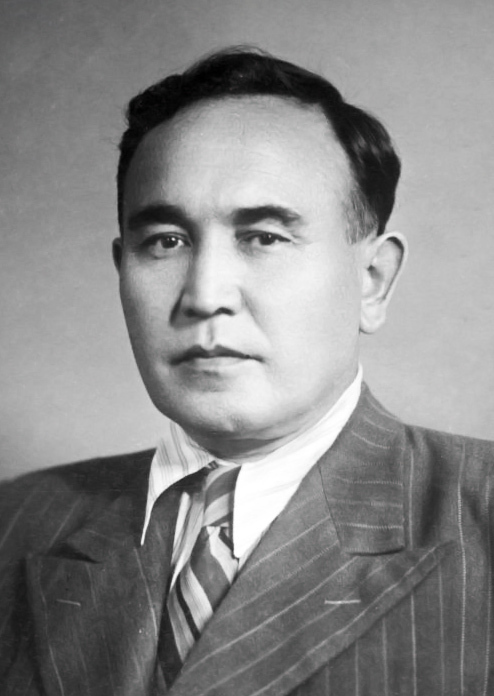 In November 1954 he was elected as the corresponding member of the Kazakh SSR Academy of Sciences. S.Amanzholov was one of the founders and heads of the Kazakh Research Institute of National Culture, which was joined to the Kazakh branch of USSR Academy of Sciences. the which is again created then. Since December, 1937 up to leaving on the front in 1942 Amanzholov S. managed sector of language and literature of branch, and since 1946 managed the department of Institute of Language and Literature of Kazakh SSR Academy of Sciences. Nowadays many of his pupils research in the field of the Kazakh linguistics. Scientific research of S.Amanzholov is keeping the value at present days as well. In January 2007, the monument to Sarsen Amanzholov was opened devoting to his 55th anniversary. The sculptural figure is made according to the project of the well-known architects A. Sergebayev and B. Abishev. At designing the metaphorical, figurative-art decision is applied. Stylized open book at the base serves as a platform for laying flowers. The monument has an artistic value and social significance, which was the main reason for including it in the list of monuments of history and culture, developed in Kazakhstan in 2008.